rather than an intervention. Real Time Urbanism considers the extremely temporary condition of urban environments in the Middle East and specifically cities in Israel/Palestine. Our works of urban action, in education and professional practice, can be seen as small-scale, yet with far-reaching interventions with varied social and urban impact. 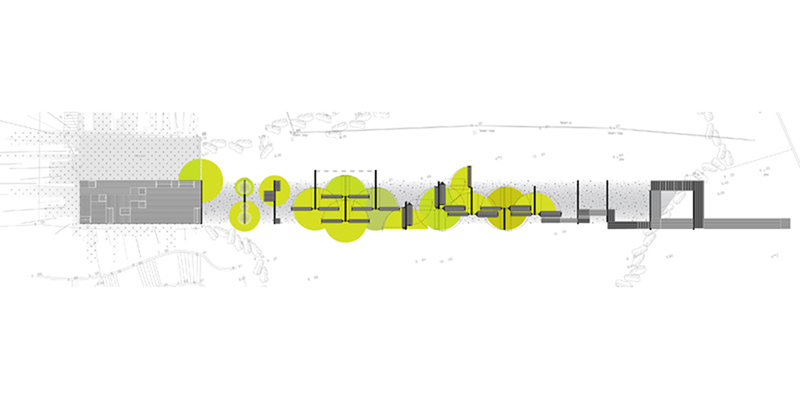 This project focuses on the context of an ethno-nationally contested environment and investigates the local implications of a society torn by political disputes within general issues such as climate change and social protest. On the Way to the Sea transforms a no-man’s land that serves as a passage between city and sea into a place in and of itself. 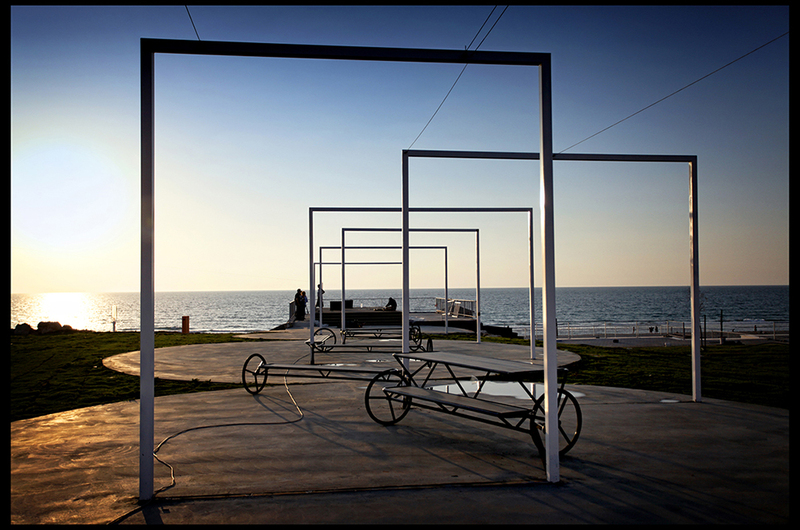 Passing through the site, a series of carefully positioned frames between the city edge and the seashore host an array of collective or intimate moments. 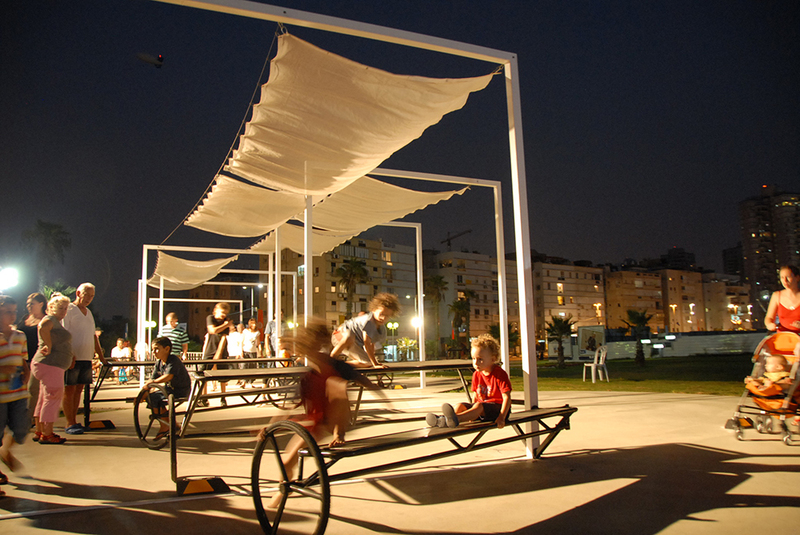 Movable elements attached to the frames such as benches, tables, shades, and screens invite passersby to engage with the space in real time, creating opportunities for citywide events, a birthday party, a barbecue, and watching the sunset, while unexpected actions turn the project into a merry-go-round or a ground for meditation. 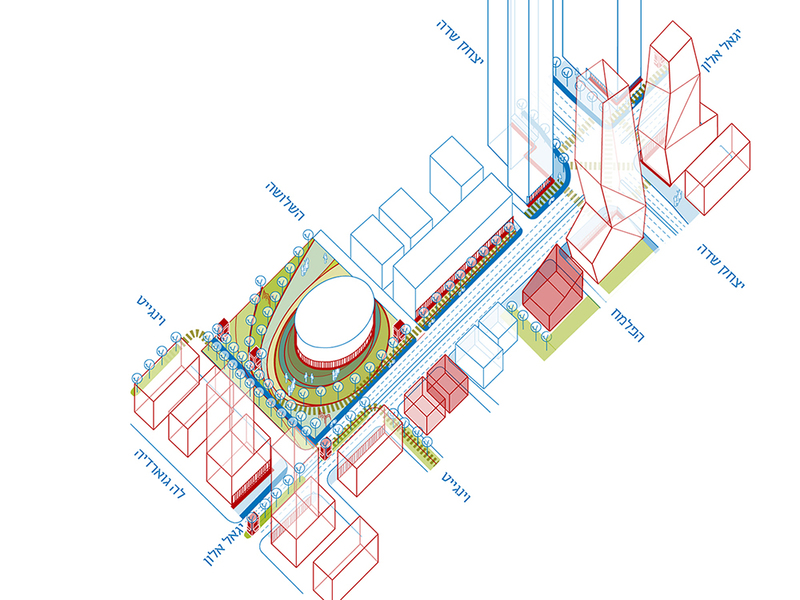 The project operates as a piece of open-ended urban infrastructure. People can complete and reinvent the space, add plastic chairs to allow for more seating at the tables, stand on the benches, spin the tables, and sometimes turn public space into a private family affair. 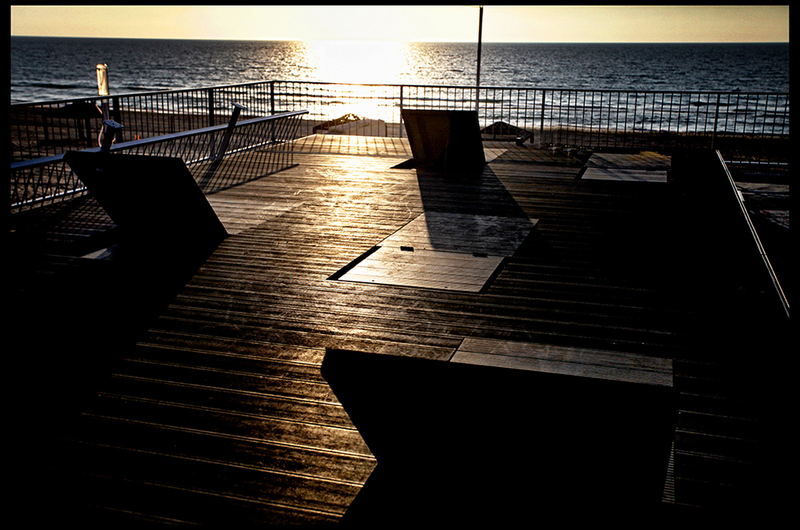 Playing by Sunset. Photo: Yuval Tebol. Courtesy of Derman Verbakel Architecture. Movable lazy chairs by sunset. Photo: Yuval Tebol. Courtesy of Derman Verbakel Architecture. Bat-Yam residents testing out the furniture. Photo: Els Verbakel. Courtesy of Derman Verbakel Architecture. Open Air Cinema. Photo: Els Verbakel. Courtesy of Derman Verbakel Architecture. 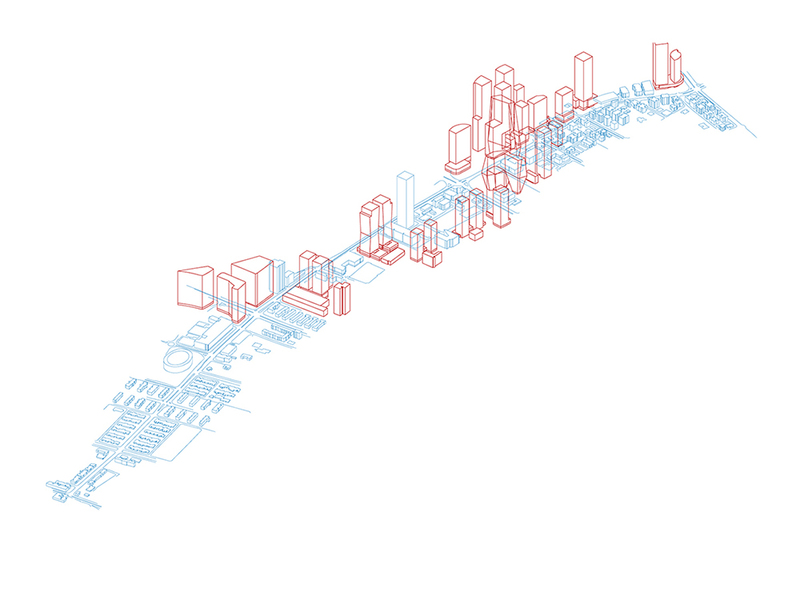 Plan drawing of the passage from city (right) to sea (left). Courtesy of Derman Verbakel Architecture. 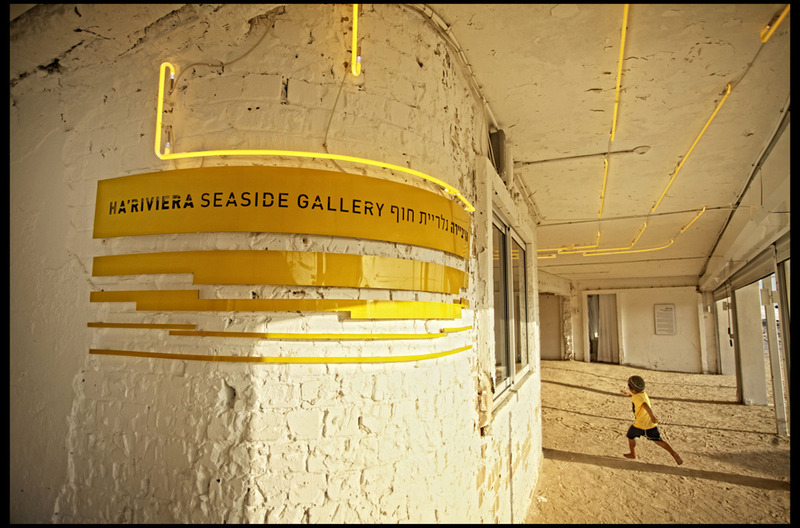 An abandoned nightclub that housed a bustling night scene in the city of Bat-Yam, Israel turned into a seaside art gallery and artist colony within only a few weeks over the summer of 2011. A 1,200-square-meter grid of concrete columns became a space for artists to reside and develop on-site art both inside and outside the gallery. Due to budget and time limits, we stripped the building’s interior walls, and opened the space up to the sea letting the beach seep inside. 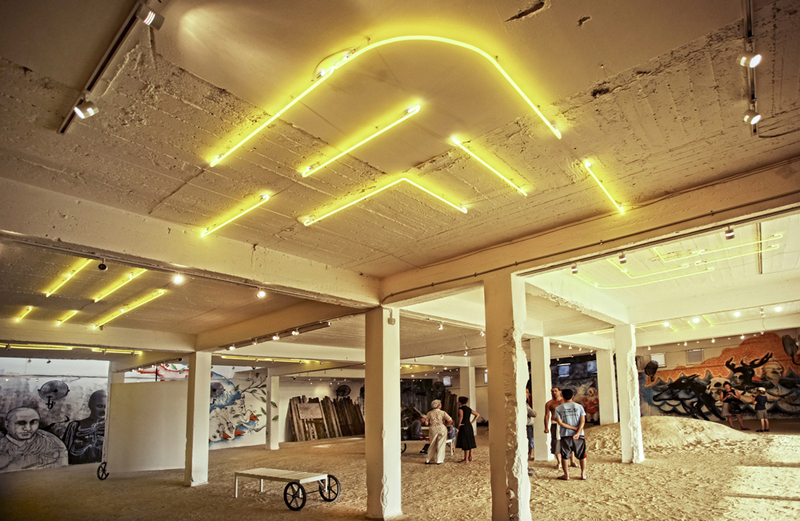 Blurring beach life and art culture, the gallery became a hybrid of Coney Island-inspired neon signs and sand floors that evoked synagogues in the Caribbean along with their temporal qualities. The floor of stabilized sand, the rough interior, and the open façade create a space where you can visit exhibitions in a bathing suit with an ice pop. The opening exhibition very suitably invited Israeli street artists to intervene in the gallery, which was painted over a few weeks later. Like the tides of the sea, the gallery space opens and closes to different groups of artists and visitors, continuously transforming itself yet not completely erasing the traces of past events. 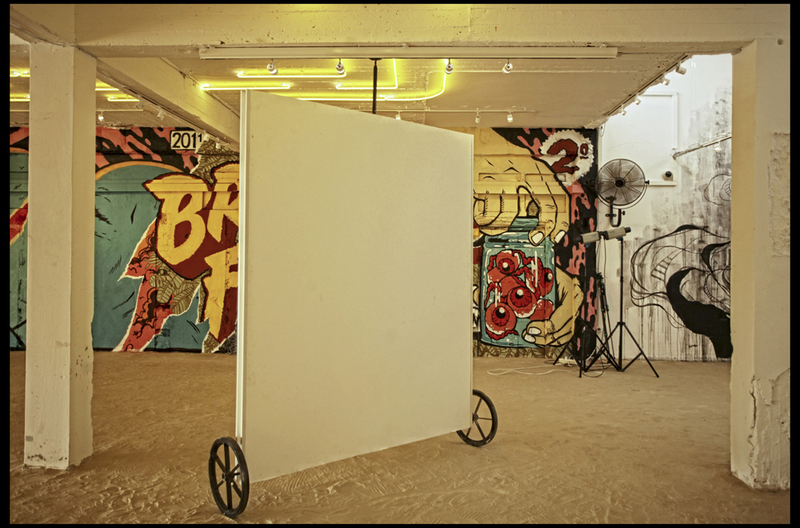 Entrance to the Gallery Space, with graphic design by Anna Geslev. Photo Yuval Tebol. Courtesy of Derman Verbakel Architecture. The Gallery’s front porch with graphic design by Anna Geslev. Photo: Yuval Tebol. Courtesy of Derman Verbakel Architecture. The abandoned nightclub before the intervention. Photo: Elie Derman. Courtesy of Derman Verbakel Architecture. The Gallery’s opening street-art exhibition with graphic design by Anna Geslev. Photo: Yuval Tebol. Courtesy of Derman Verbakel Architecture. 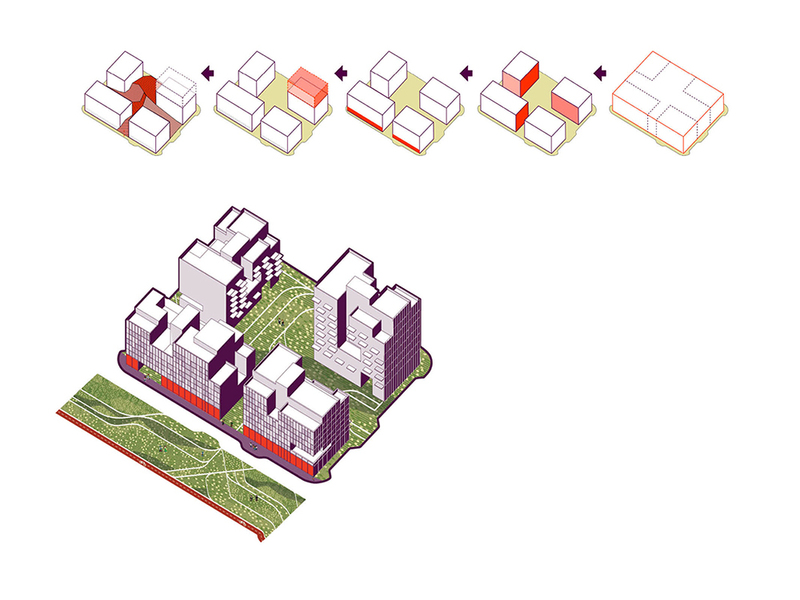 Building Rights and Density Study for Rishon LeZion West. Image courtesy of Derman Verbakel Architecture. 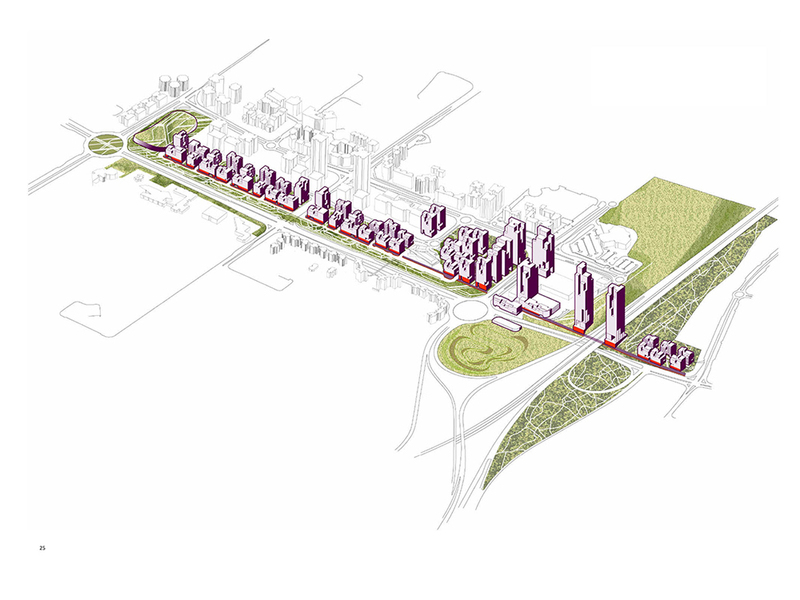 Vision for a Congested Urban Dune-Scape, Rishon LeZion West. Image courtesy of Derman Verbakel Architecture. Building Block Strategy in 4 Steps, Rishon LeZion West. Image courtesy of Derman Verbakel Architecture. 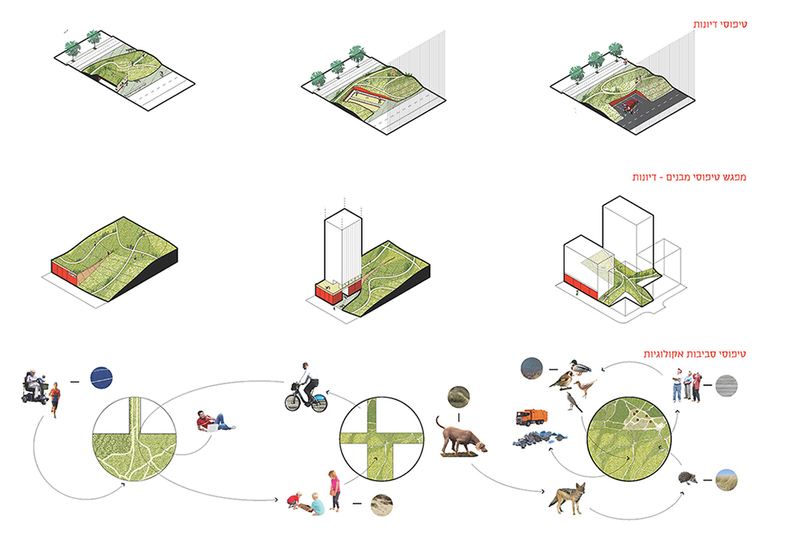 Toolbox: inhabitable dunes, dune-scape hybrids, and urban ecosystems, Rishon LeZion West. Image courtesy of Derman Verbakel Architecture. 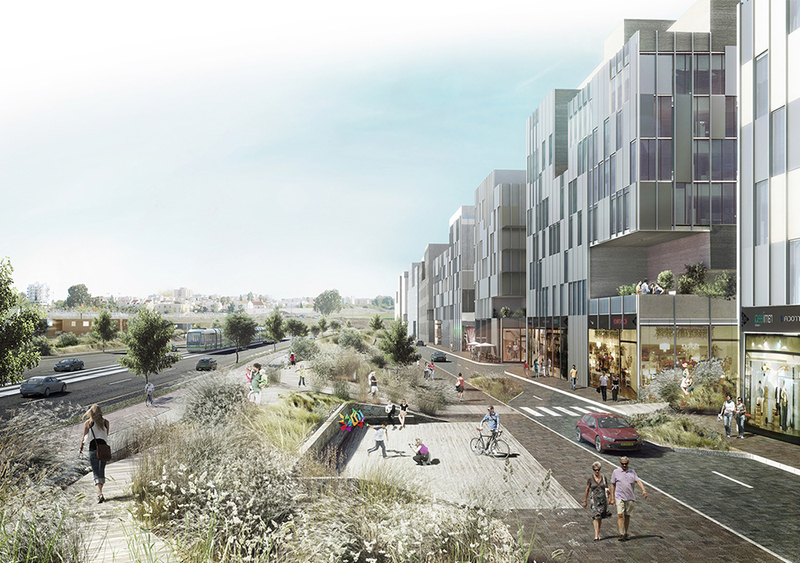 Vision for an Urban Dune-Scape, Rishon LeZion West.Image courtesy of Derman Verbakel Architecture. Our plan for East Tel Aviv prepares the area for the planned construction of approximately 2 million square meters of predominantly office space in the near future. 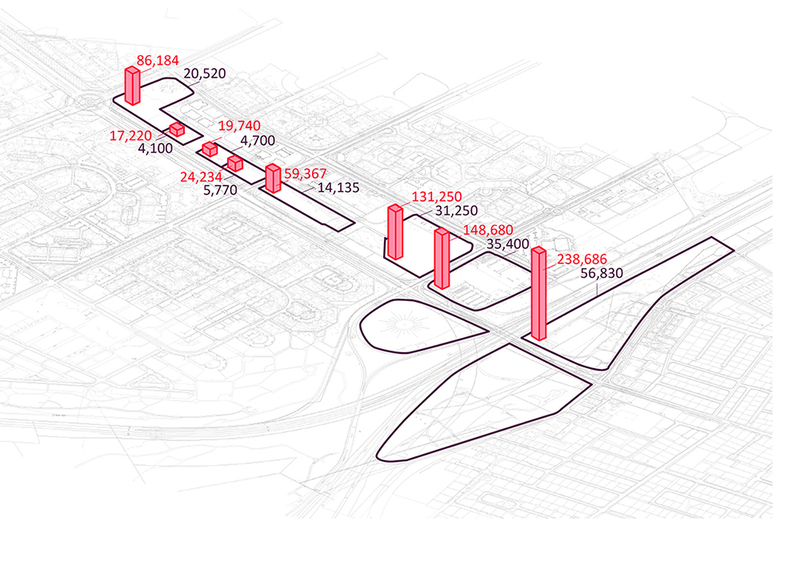 While the area currently consists of low-density residential neighborhoods, abandoned industrial buildings, car dealers, office towers, and a few public buildings, the programmatic transformation will drastically influence Igal Alon Street, the main traffic spine, which currently serves as a thruway. 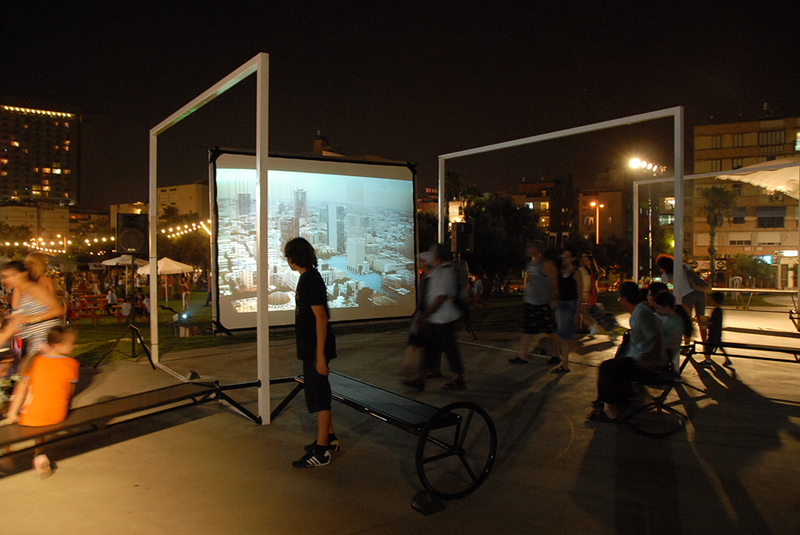 In an attempt to turn Igal Alon from a road into a street, the plan developed a series of tactics to introduce interactive programs in the “waiting strip,” an area between the street and the future development that will start working according to the future vision for the street in anticipation of the office towers to come. From White City to Colorful City: preparing East Tel Aviv for the construction of 2 million m2 of predominantly office space.Image courtesy of Derman Verbakel Architecture. 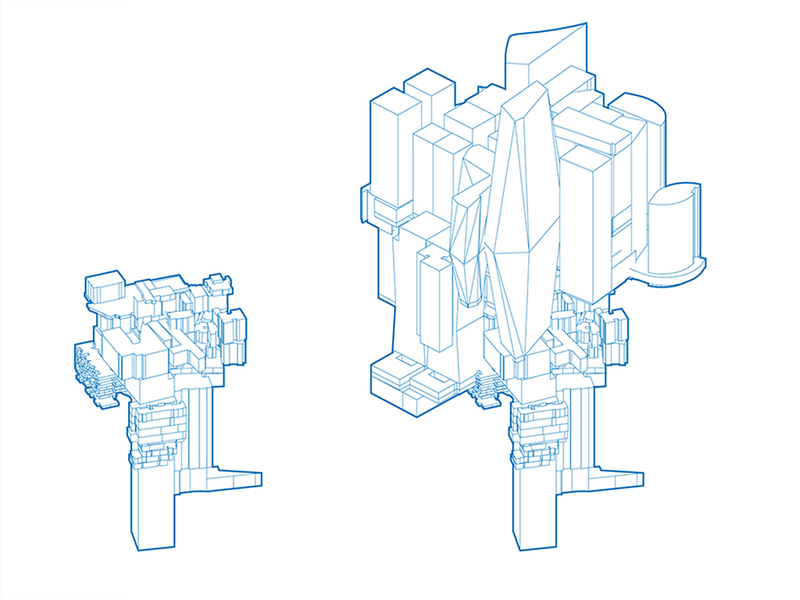 From White City to Colorful City: Existing buildings that will remain in the future compared to future built volume on Igal Alon Street only.Image courtesy of Derman Verbakel Architecture. 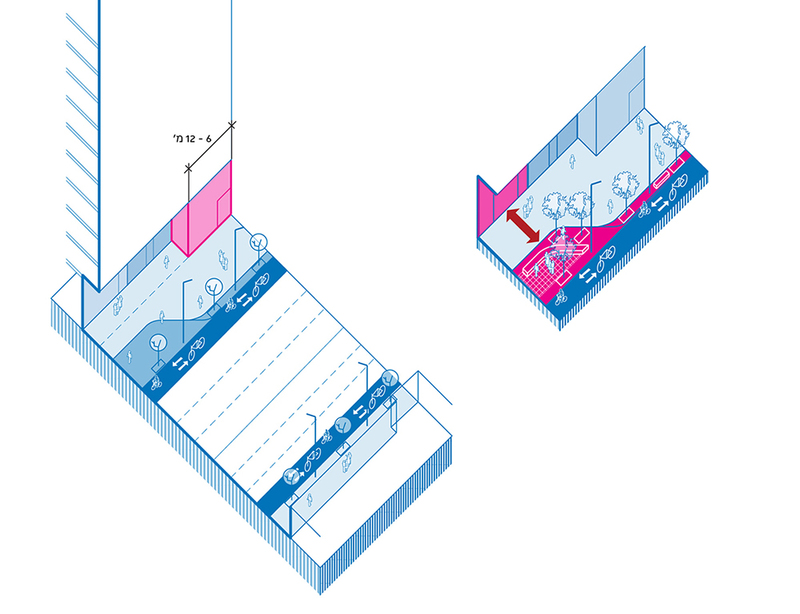 The principle of the waiting strip that will host interactive and collective programs in anticipation of future construction. Credit: Derman Verbakel Architecture. 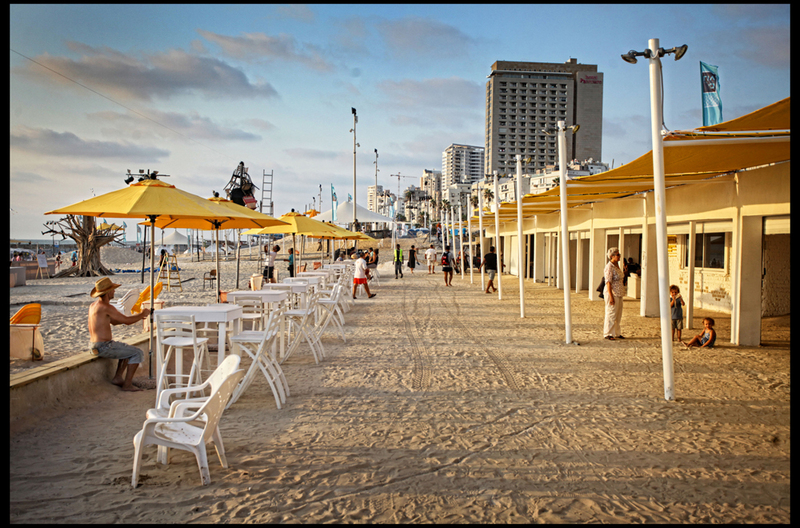 _From White City to Colorful City: Vision for an Active, Livable, and Lively “Alternative Tel Aviv” in which the waiting strip can be implemented immediately in anticipation of future construction. Image courtesy of Derman Verbakel Architecture. Els Verbakel is founding partner of Derman Verbakel Architecture and a professor at the Technion, Faculty of Architecture and Town Planning. 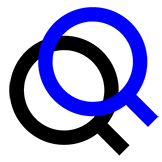 Els obtained a PhD in Architecture at Princeton University, a Master of Science in Architecture and Urban Design from Columbia University and a Masters in Civil Engineering and Architecture from the University of Leuven. Architects: Derman Verbakel Architecture; Location: East Tel Aviv, Israel; Client: Tel Aviv Municipality, Design Development.